Forgive yourself and move on, mistakes are irreversible but the future can be changed to the best. You cannot keep moving forward if you keep regretting the past. Divorce the past to marry the present and be blessed with a lovely child of future. The truth is, unless you let go, unless you forgive yourself, unless you forgive the situation is over, you cannot move forward. 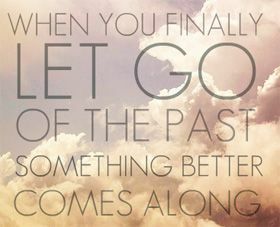 In order to really move forward in life you need to leave your past behind. The concept of letting go is a part of one’s growth process. It means to leave the things the way they are and move forward. In life, you need to let go of many things, at different points of time. You need to realise that life never stops and comes to a halt. It is extremely difficult to do so, but one has to do it repeatedly at different levels, since life calls upon us to do so. 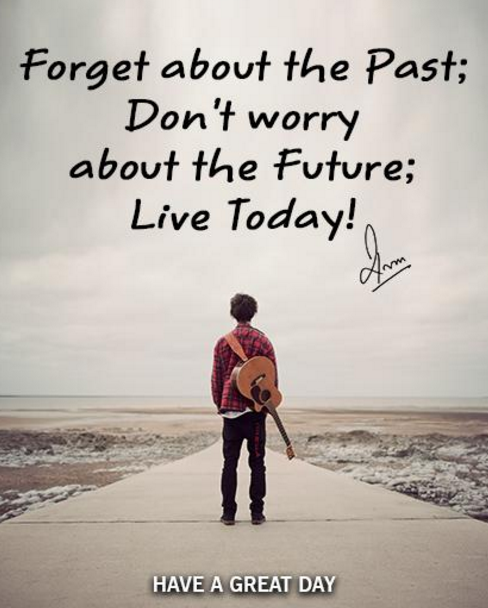 You cannot think about the future or the new happenings in life, if you continue clinging to the old. Ron Taffel had once remarked, “Even as kids reach adolescence, they need more than ever for us to watch over them. Adolescence is not about letting go. It's about hanging on during a very bumpy ride.” When relationships or friendship turns sour or any one amongst one’s near and dear ones passes away, we face extreme difficult in letting go such things. Fond memories that leave an indelible impression on our minds are difficult to let go.